The Preserve is a new home subdivision located in Eagle, Idaho. The Community offers a wide variety of interior and exterior choices. Floor plans range from 1,271 to 4,777 Sq. Ft. with the average size around 2,084 Sq. Ft. Bedroom options range from three to six with two to as many as 4.5 bathrooms. Homes for sale in The Preserve are built by Idaho home builder Coleman Homes. The community is close to everything Eagle, Idaho has to offer. Learn more about The Preserve Eagle real estate below. Browse all new homes in Eagle Idaho. Still searching for the best neighborhood? 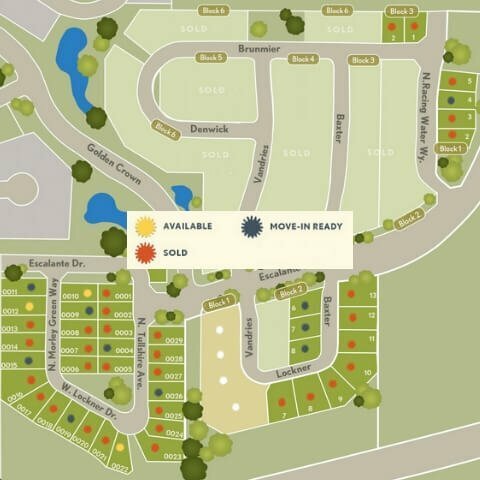 Browse our complete guide to new Eagle subdivisions to find the perfect community. Head North on Linder Rd from State St. Turn left (west) on W Escalante Dr.
Our Eagle real estate specialists are here to help you find the perfect place to call home - 7 days a week. Contact us online or call (208) 391-4466.